Should I Buy An Out of State Investment Property? If you are a real estate investor in California or another high-cost area, you probably are considering an out-of-state investment property. In the costly cities of San Francisco and Los Angeles, many real estate investors are priced out of the market. Investing in a market like that is brutal unless your closets are full of cash. Here in Texas, I have been blessed to build a big portfolio of under market value investment properties that are very low priced. The best locales to invest in under market value properties depends on what you want to achieve. Do you want to flip for quick cash or buy and hold long term? I always want long term real estate cash flow. Also, I favor investing in under market value, buy-and-hold properties — usually with seller financing. Long-term cash flow is, in my opinion, the best vehicle for massive wealth accumulation. Anyway, note that a good buy-and-hold market might not be so great for flipping. In my home market of San Antonio, flipping is getting harder as prices rise. Many flippers I know are starved of under market value deals that can turn them a decent profit. On the other hand, buy-and-hold investors like me are doing well; 10 to 12 percent ROI is still routine for my portfolio. State laws: Is your potential out-of-state market friendly to under market value property owners? I advise you to invest only in states that have landlord and owner-friendly laws. I want to be able to evict non-paying tenants and foreclose easily on defaulting buyers. Texas is property owner-friendly. Population and economic trends: Is the state growing or shrinking in population? How is the job market? As an example, according to CNN Money, Texas is seeing rapid population growth and a strong job market. Forbes stated in a Jan. 14 article that four of its 53 boomtowns are in Texas: San Antonio, Houston, Austin and Dallas. A state with strong population and job growth will have plenty of renters and buyers needing houses. Price-to-rent ratios: What does it cost to rent a house compared to buying one? CNN has a helpful graph on price-to-rent ratios. San Francisco and Honolulu have the highest ratios — over 30 — while Detroit is lowest at around 10. Generally, I recommend buying in a market with a moderate price-to-rent ratio. This is not an exhaustive list of considerations for buying out-of-state investment properties. However, if those three points look solid, odds are you will produce positive cash flow in that area. Find a great real estate agent or investor who knows how to scout for good under market value properties and wholesale property. Hopefully, he or she will network with top-notch property inspectors, rehabbers, title companies and a real estate attorneys. Find a reliable turnkey property company. These under market value properties have been 100 percent rehabbed and often have tenants already in place. Which route do you choose? It depends. Many out-of-state property investors want zero headaches or stress and don’t want wholesale property. So they purchase turnkey properties. Other investors want to save money, so they find their own under market value properties and coordinate their own rehabs and property management. How much is the difference between buying an under market value property yourself or a turnkey property? In my experience, I can do the rehab on a distressed property for half of what a typical rehab crew will charge. That can make a difference of 2 to 3 percent in ROI per year. That adds up over time. However, I’m a full-time investor with a construction company. My rehabs cost less because I do 100 per year. You might not be able to do that, so a turnkey might make more sense. For the beginner, I might lean toward buying solid turnkey company in a low-cost market as a first out-of-state investment property. That will help you dip your feet into the investing waters with some positive cash flow, then you can grow into building your own under market value investment team. 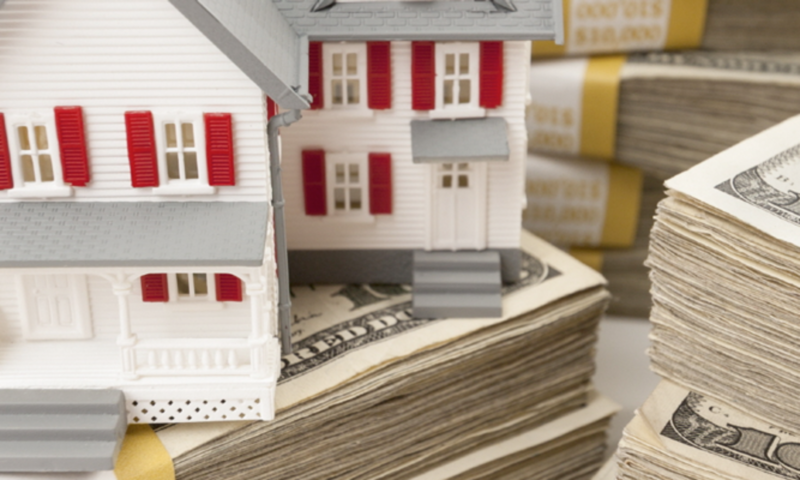 Above all else, look for solid real estate cash flow from your distressed properties to get the best start in real estate. Previous PostPrevious Forbes: San Antonio TX Is #3 Best City to Invest in Real Estate, Beating Austin TX!